Silent Hill 3 was the series finest hour, and sure took survival horror to new heights. Unlike Silent Hill 2 which went for a fresh new start, part 3 continued the story arc of the first Silent Hill game. The protagonist was Harry Mason’s foster daughter Heather, who finds herself dealing with a religious cult that had some pretty nasty intentions (they wanted to use her to give birth to a god, actually…). 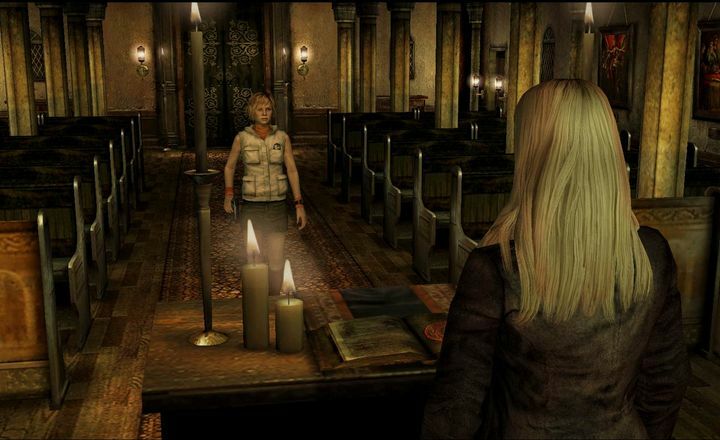 Silent Hill 3 also outdid the first two games when it came to graphics, boasting better textures and more detailed character models. But it was the scares that would really get people on their toes, and the game’s grotesque collection of monsters (including those menacing nurses wielding blunt weapons) and sinister locations like an abandoned chapel, plus Heather’s trips to the blood-drenched other world sure were truly frightening here. Also, the puzzling and action elements were top-notch as well. And even though Silent Hill 3 was slightly short, and the voice acting wasn’t stellar, this overall is the best Silent Hill has offered to date, and one of the best survival horror video games ever too. Came out on: PC, Xbox 360, PS3 and PS2.